Have you ever wished to create your own anime character or turn yourself into a cartoon character? Creating cartoon characters of yourself or turning yourself into a cartoon character and using it for the online profiles and avatars is the best option for you if you are not comfortable using your real photos to represent yourself online (protect your privacy online). This is also a fact that most of us like the anime characters, cartoons a lot. To make your photos interesting and funny, you can make a cartoon of yourself (cartoonize yourself). 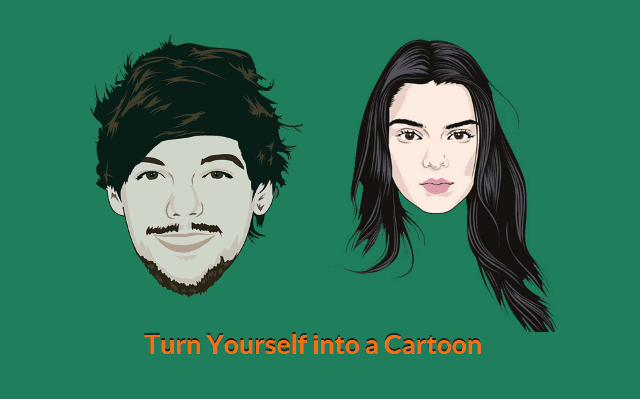 There are a lot of tools available online which can be used to turn yourself into a cartoon. You can easily cartoon yourself online as you don’t need any specific Photoshop skills. To turn yourself into a cartoon using the best websites to cartoon yourself online for free all you have to do is upload your photo and select the style which you want to add. To make it easier for you to cartoon yourself online, we are sharing the top 10 best websites to cartoonize yourself online for free. Many people love creating cartoons online or want to create cartoon characters that make people laugh and happy. But some of them think that making own cartoon character requires great painting skills or the use of professional image editing software & services. But the reality is, there are many useful websites where you can easily create your own anime character for free or make your own cartoon without any effort. TheCartoonist is one of the best caricature maker websites which you can use online to make a cartoon of yourself. The website has a professional tool which can be used to cartoonize yourself online. The Cartoonist has a three step process to make your own cartoon character as you just have to upload your photo, select the design and click on the Cartoonize button. If you are looking for a website to cartoonize yourself online which comes with a rich set of tools then you need to use BeFunky free online photo editing and collage maker. Using this tool you will be able to add amazing effects on different photos. 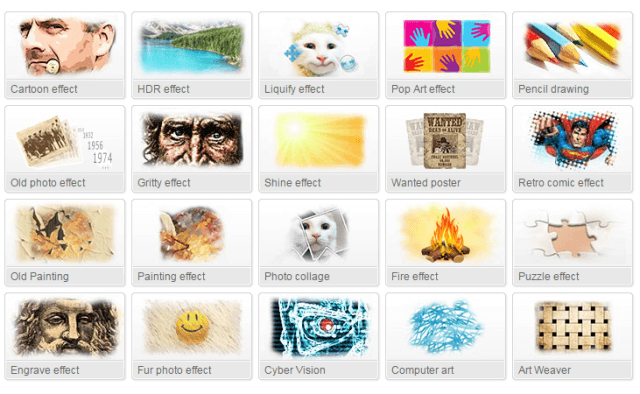 You can choose from a set of effects available in the editor. There is also an option to add text and frames to the photos. Cartoonize.net is an online photo editor which can be used to cartoon yourself online for free. There is also a desktop client which you can use if you don’t want to cartoonize yourself online for free. You can also share your photos on popular social media platforms like Facebook and Twitter. SnapsTouch is a well known online tool to create sketch, painting, drawing, outline effects which come with a lot of different options. You can not only cartoonize yourself online for free using SnapsTouch, but also convert your photo into a beautiful sketch or a drawing using this tool. AnyMaking free photo editing tool works like other tools which help you to caricature yourself online for free. You can add a lot of cool effects on your photos by using the online editor. The editor also allows you to perform different editing functions like cropping, resizing or rotating the photos. Apply filters, effects, borders and filters to your photos before you create your own cartoon online with Rollip. The tool is easy to use as you just have to click on the upload button and select the photo. Once you have done editing, you can click on Download button and save the photo on your computer. Cartoon Photo.to is also one of the best websites to cartoonize yourself online for free. Using the live preview feature you will be able to see the live changes to your photos. The social sharing buttons allow you to share your photos on social media websites and via mail. Photo-Kako is another great tool to create your own cartoon online. This popular website to cartoonize yourself online for free is more popular in Japan. You can convert up to 170 photos using this online tool for free. Using the editor you can adjust the different parameters. The next website which you can use to make your own cartoon is Picture to People. If you want to get professional effects on your photos then you need to use this tool. The tool comes with user friendly interface and can be accessed for free online. Last but not the least is Kuso Cartoon. This is also one of the very simple to use websites to create your own anime character. You can check the samples which are already uploaded on the website by other users to find out what is trending out there. If you want to make yourself a cartoon or create your own anime character, then you must these above mentioned best websites to cartoon yourself online for free. These are the best websites to turn yourself into a cartoon and all these sites can be accessed for free. Thanks for providing the list of cartoon creator website. These sites are very useful for those who have a fiverr gig of Turning photos into Cartoon character. I will try to create my cartoon with these sites. Thanks again! One of the most advanced free cartoon makers is Wish2BE. It has huge cartoon templates collection, automatically crops the face from photo and applies cartoon effect. Totally free, without registration.